Boat Description Get ready for a summer of fun! 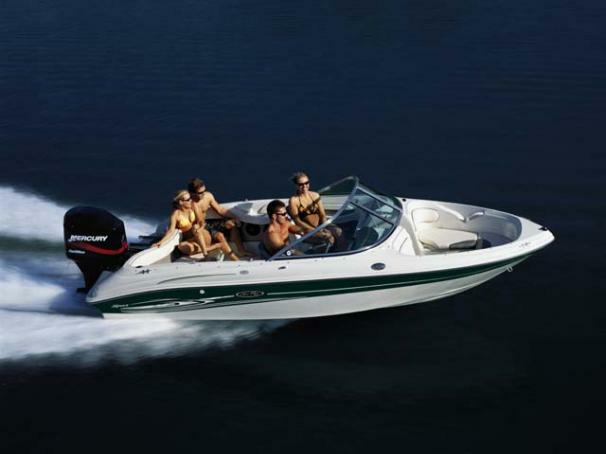 This spunky, 185 OB Sport makes the most of every moment on the water with great performance and sleek style. Just fire up the 125 hp Mercury outboard and new you`ll see what we mean. She`s quick, agile, and ready for whatever comes her way. Add the optional fish and ski package, and you`ll also get a trolling motor, baitwell, dual battery trays, pedestal seats and ski tripod.